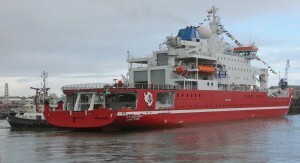 STX Rauma Sites, Finland, delivered the Agulhas II in the South African Department of Environmental Affairs. Ordered in late 2009 to 116 million euros, the polar research vessel measures 12,000 tons 134 meters long and 21.7 meters wide. 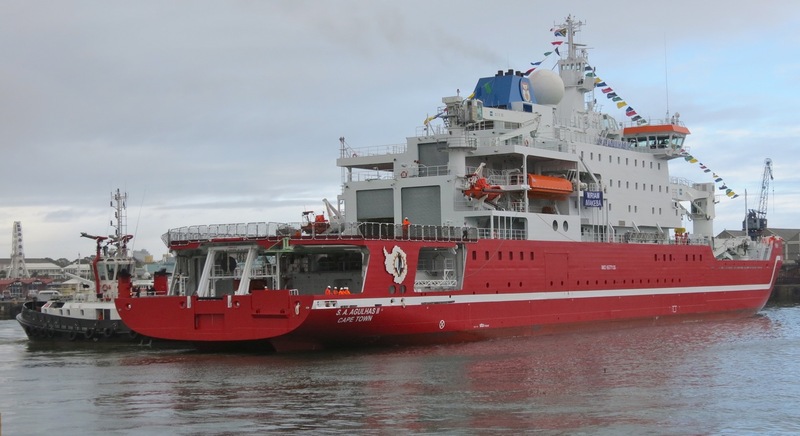 Capable of speeds of 14 knots and sailing at 5 knots in an ice thickness of a meter, the Agulhas II is manned by 44 crew members (41 cabins) and can accommodate 100 passengers or scientists (46 cabins). Designed as a versatile unit, the Agulhas II, delivered by STX April 4, may not only serve as a research vessel, but also for a support ship, icebreaker, ship shipping and passenger transport. He takes particular scientists and their equipment for studies in Antarctica. With a significant autonomy, it will remain for several months at sea and serve as a floating laboratory for marine or meteorogical studies.